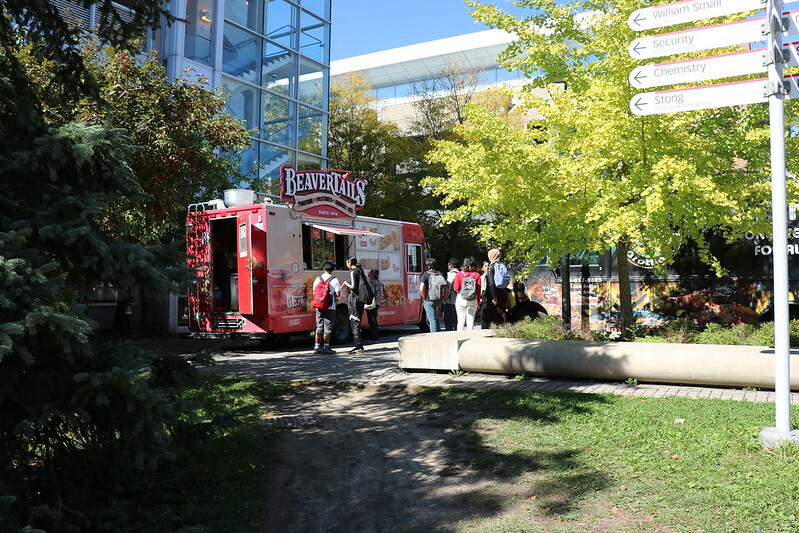 York University’s Red & White Day was a roaring success, so much so that it trended on Twitter on Oct. 4. The event featured an expanded Lion Pride Reception in CIBC Lobby in the Accolade East Building, which included student performances, a fashion show featuring York Lions wear, a community art piece, a photo booth and giveaways. The space also included “hubs” of excellence where faculty, student and staff excellence were celebrated. The reception was made possible by the York University FUNd, a donation made by a former staff member to provide the campus community with a variety of entertaining and interesting events throughout the year in order to nurture York’s pride and YU Spirit. Other Red & White Day activities included a free coffee mug giveaway, Bookstore sale, Campus Alumni & Donor Breakfast, drop-in dodgeball, a rowing challenge and food trucks. Following in the energy wake generated by Red & White Day, the winners of the #YUSpirit photograph contest have been selected by a jury composed of community members. The competition was fierce, and the judges certainly had their work cut out for them. Dozens of students, staff and faculty submitted pictures, and in a contest first, there were two co-winners selected in the Current Students category. Each of the winners will receive a $75 YU Card. There were many other spirit-filled photos taken by York U community members on Red & White Day, which can be found on various social media channels under the hashtag #YUSpirit. The University Bookstore also ran the first-ever York Lionheart Jacket contest during Red & White Day and the winner is Matteus Torelli. In keeping with #YUSpirit, enjoy the full Red & White spirit in the following Flickr gallery.